At Highland Wellness Center we utilize the health and healing art of massage therapy. Many factors of daily living cause our muscles to become tight, imbalanced and stressed out. Due to these causes your spine may be pulled out of alignment. Combining applied kinesiology and the Chiropractic adjustment with massage therapy enables the body to work together giving you lasting results. Our therapists are trained and experienced in a variety of massage techniques. Whatever the cause auto accident injury, sports sprain or strain, prenatal massage for expecting mothers, or for general health you are sure to be satisfied. Call our Highland Heights office to make a massage therapy appointment today! Ryan Santa is a graduate of The New School for Massage & Bodywork (’11) in Chicago, Illinois. His practice is rooted in western modalities but is influenced by eastern medicine and philosophy. 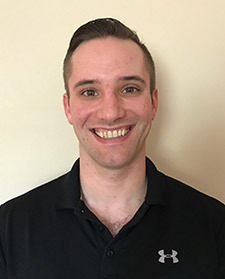 The key to his effectiveness as a bodyworker is blending deep tissue, myofascial, sports massage and Shiatsu techniques. Ryan has acquired this range working in spa settings, high performance sports facilities as well as clinical experience in chiropractic offices.